For the bride who wants the in-between, elegant, contemporary & yet traditional! 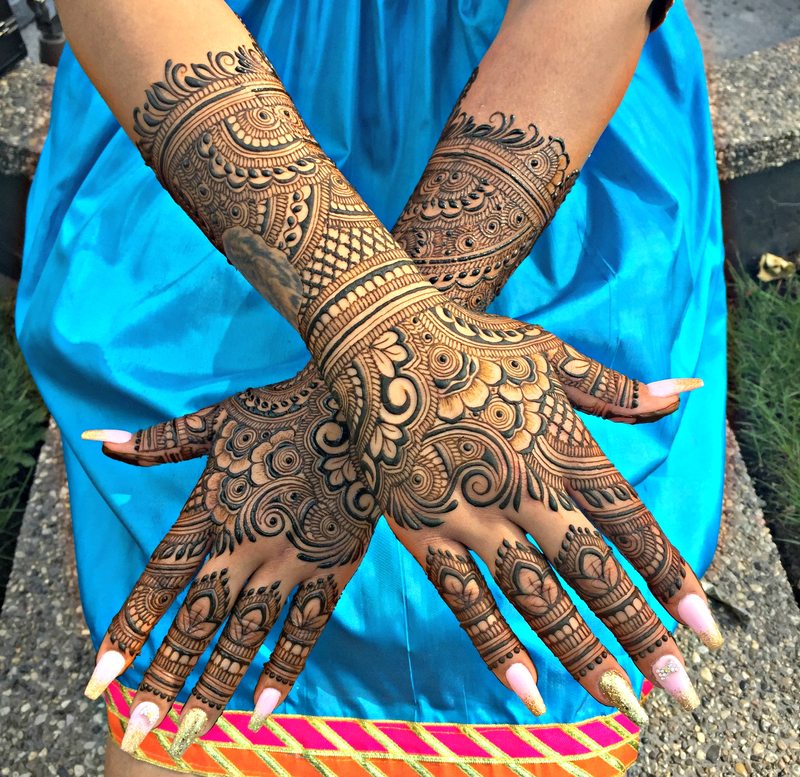 This selection includes intricate bridal henna on palm and mid-way up the arms as well as a similar intricacy and length on the backs of the hands. feet and extends to the ankle. the tops/front of the feet and legs and does not wrap around. 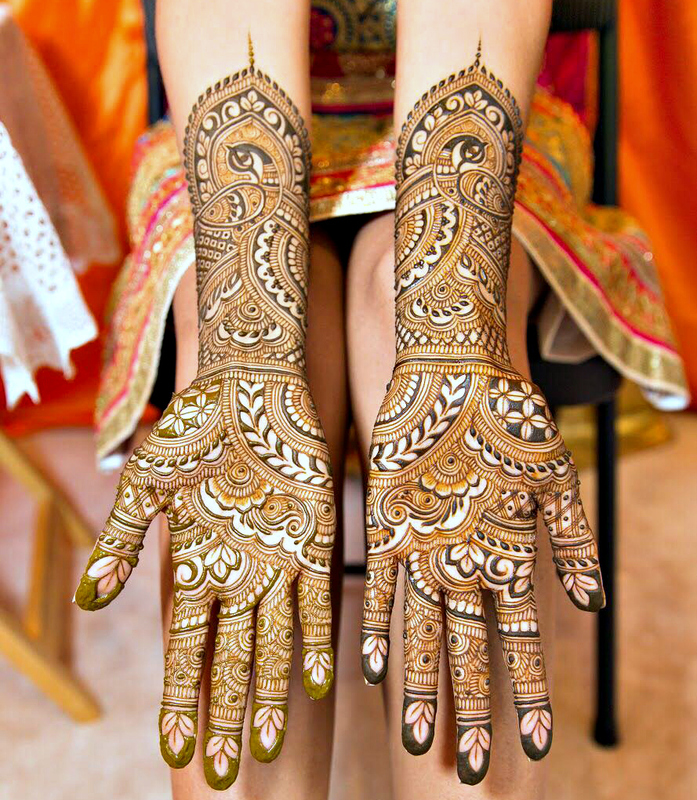 Make your bridal henna unique! Let us know some customizations you want to add. This can be city skylines, bride/groom portraits or figures, logos… be as creative as you want. We’ll take care of the rest!